It’s not often that you see Rep. Sheila Jackson Lee (D-Texas) all zen anywhere. But this week, D.C. paparazzo Mark Wilkins caught her all blissed out at Reagan National Airport. 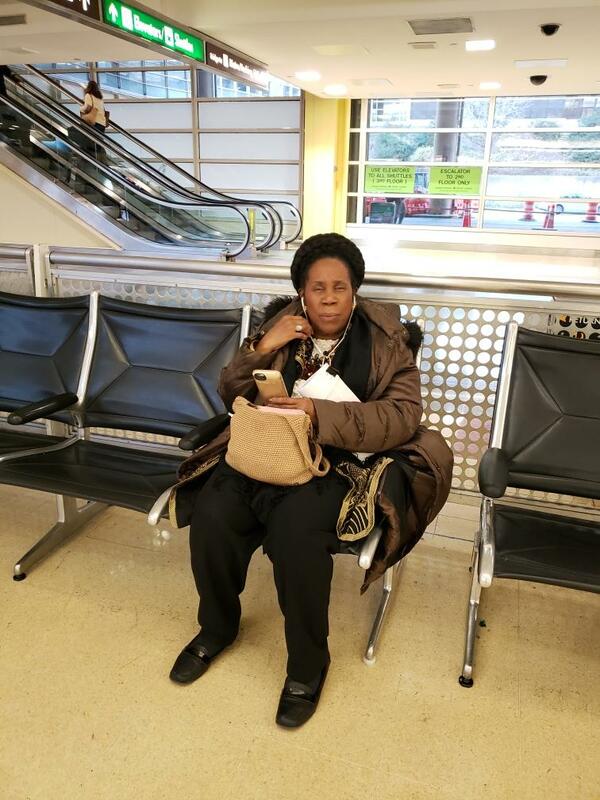 “Sheila Jackson Lee just chillin’ at DCA this afternoon,” he told me Tuesday. This was definitely the calm before the storm. Members of Congress with schedules wound as tightly as SJL’s don’t have the time to put their minds on snooze. This week was especially nuts for the congresswoman as she navigated a threat in her district. “Students, faculty and staff of Texas Southern University are urged to evacuate campus due to a threat received from Houston Police Department. All TSU classes are canceled for the remainder of the day,” the university blasted in a tweet Wednesday. Jackson Lee also urged the students to do as they were told. “I am monitoring this situation but for now urge all near the @TexasSouthern campus to heed the directions of law enforcement and evacuate the campus,” she warned. In a moment of potential danger, what students wouldn’t want SJL on their side?